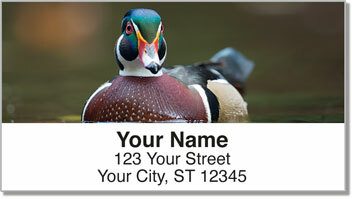 Also known as the Carolina Duck, the Wood Duck is the second most hunted species of duck in North America. That's why we need more people like you-people who are willing to install nesting boxes near wetlands so the Wood Duck population can continue to rebound and flourish. 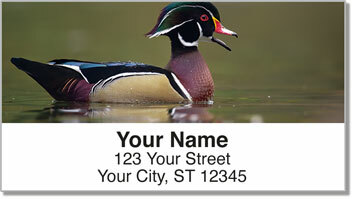 Once hatched, wood ducklings jump down from their nesting box and make their way to water. Their mothers call for them but do not help them, providing their earliest lesson in independence! 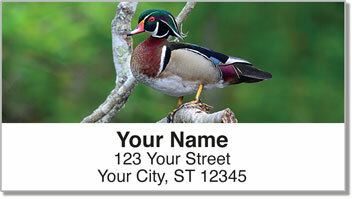 We've made it easy to demonstrate your love for these distinctive birds; just choose Wood Duck Address Labels from CheckAdvantage. 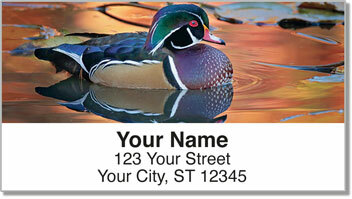 Order yours-along with matching Wood Duck Personal Checks-today!